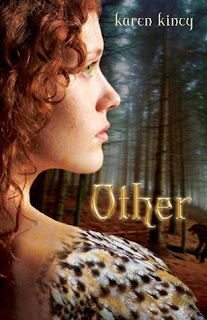 Summary: Seventeen-year-old Gwen hides a dangerous secret: she’s Other. Half-pooka, to be exact, thanks to the father she never met. Most Americans don’t exactly roll out the welcome mat for Others, especially not the small-town folks of Klikamuks, Washington. As if this isn’t bad enough, Gwen’s on the brink of revealing her true identity to her long-time boyfriend, Zack, but she’s scared he’ll lump her with the likes of bloodthirsty vampires and feral werewolves. This book looks brilliant, doesn't it? Absolutely brilliant! I have my eyes open for Other. It sounds so interesting. I want to know exactly what 'Others' are, as well as their lifestyle. I'm excited for this book too. Love the cover. This one looks really good - I'm going to add it to my list. I love the cover. I've been interested in this for awhile. Nice pick! I cant wait for Other either! This one looks absolutely fantastic! I cannot wait for it. Looks fantastic! I love that cover, it's gorgeous!